... I'll be playing with tonight?! 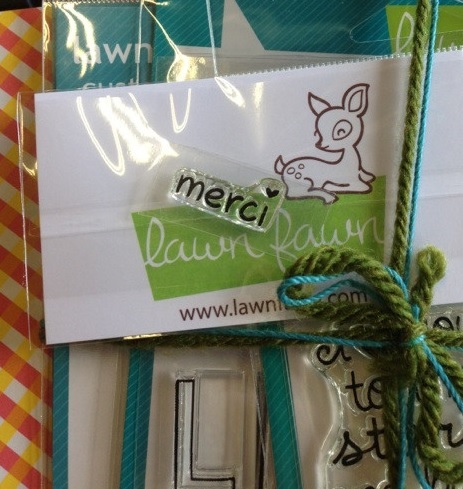 I LOVE Lawn Fawn's stamps (see my obsession with Summertime Charm, and A Birdie Told Me in previous posts). 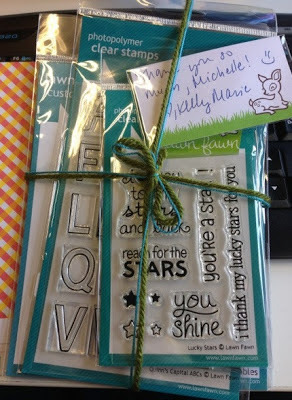 This is the first time I ordered directly from Lawn Fawn's site (usually I order from Simon Says Stamp) - and LOOK at how awesome Kelly Marie is!!! Funky wool/string packaging, a personalised 'thank you' note, along with a free 'merci' stamp (literally saying thank you) and some Lawn Fawn paper (which I haven't used before).